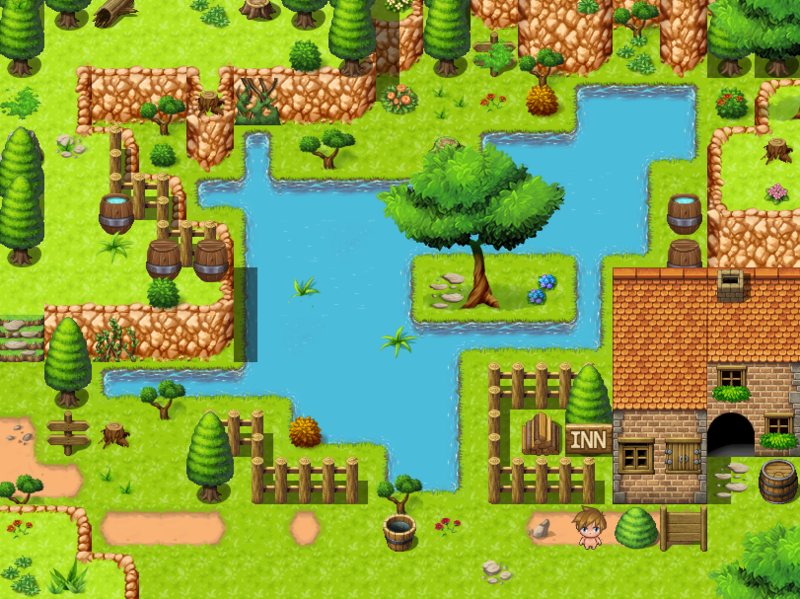 Discussion in 'RPG Maker MV Resources' started by Deldel, Jul 10, 2018. In this thread I'll be sharing resources I create for practice and I don't need to use. 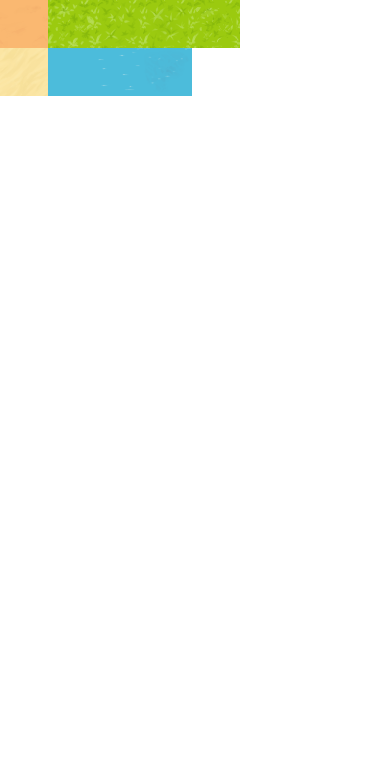 These are all free to use unless stated otherwise. 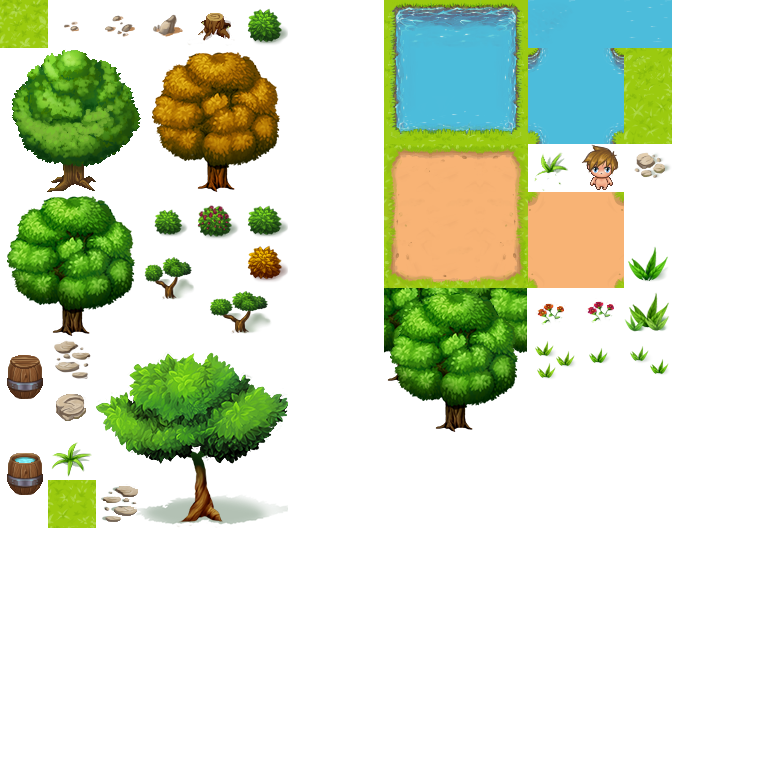 For Now I only have this one little ressource, this is the first tileset I've ever tried to make. 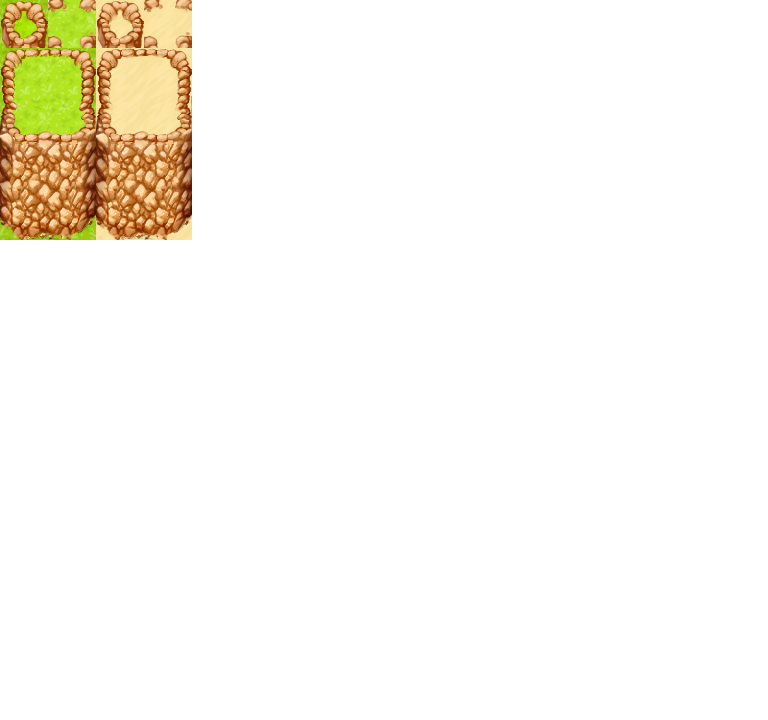 As it is, it is 48x48 because I'm in love with the look of RMMV characters sprites and that's what I like to test the tiles on. I hope you like them! If you have any criticism, please don't hesitate to share! 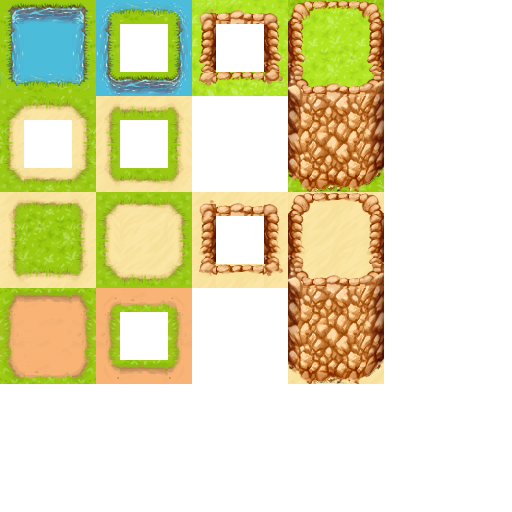 I'm new to the tileset making business ahah. If you use any of this, please credit me as : Oozarts. Pammercakes, Chaos17, Milu and 7 others like this. I like your colour choice. It's pleasant to look at. Jellicoe and Deldel like this. Hey! I added corners for the dirt path AND did a water autotile, which I'm really proud of because I did NOT think I'd make decent looking water lol! Also did some grass variation to break the pattern now and then. 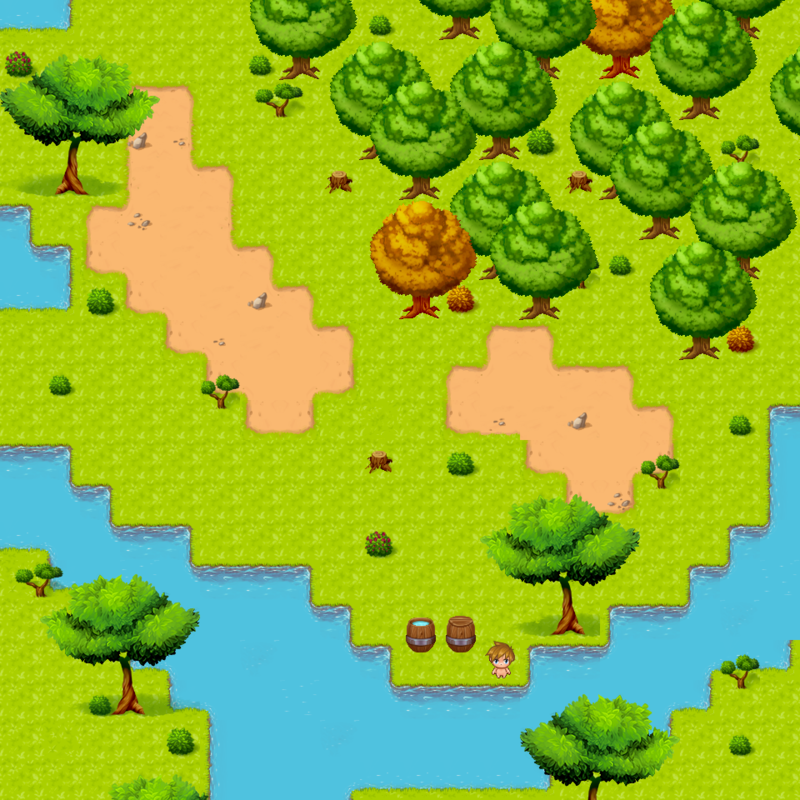 I might try to animate the water sometime but the priority is on finishing the tileset with maybe some sand and a few houses. If you want to see somthing in it, don't hesitate to tell me! 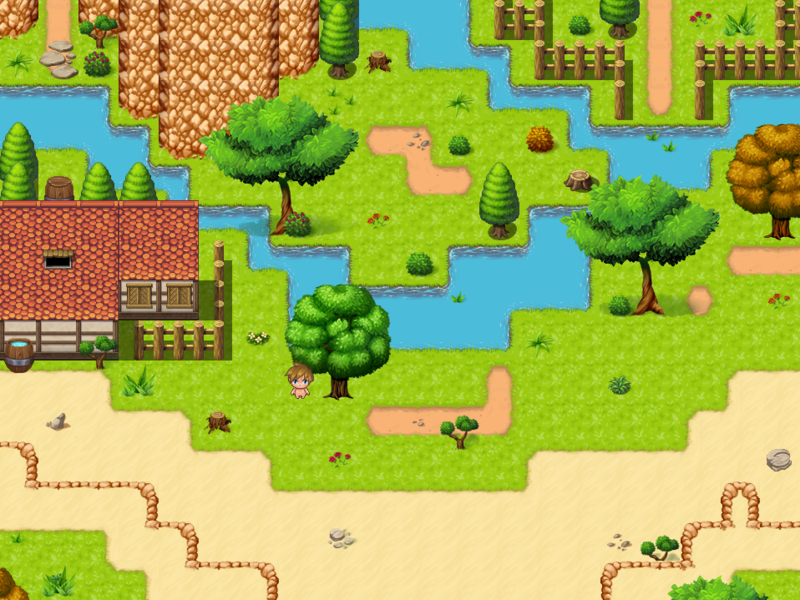 The test map was done on Tiled, since my trial of RMMV is over ahah. Ooh, these tiles are lovely! I do hope there are more to come! Thank youu! 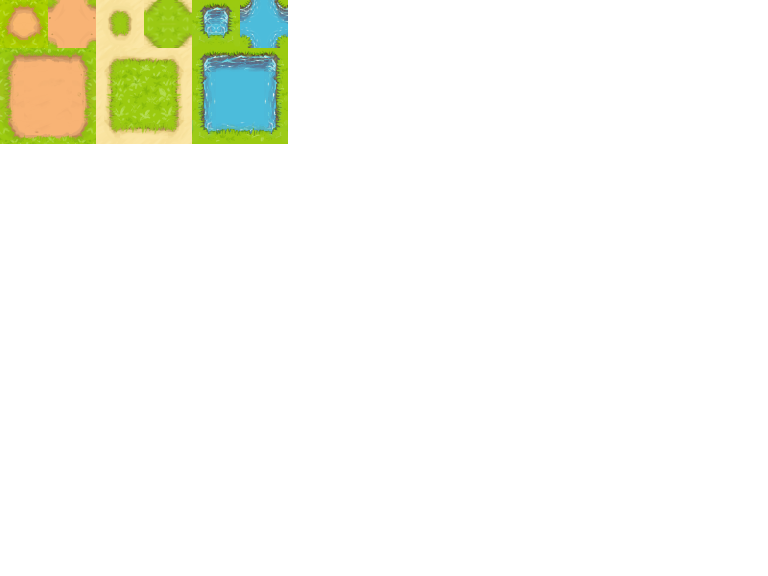 ♥ I'll try to finish it so at least there's a small outside tileset and an indoor one in this tileset! I also drew a new tree! 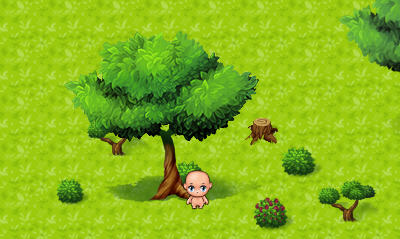 I think the vegetation style is coming out nicely ... What do you think? SmashArtist, MMMm and Mystic_Enigma like this. This actually looks absolutely amazing! So today I tried (and failed) to make mountains, I was so proud of them before I realised they aren't completely seemless lol, and the top of the mountains doesn't work at all because I left some grass there :/ If someone would like to edit it to fix it, you're welcome to it! If not, I'll fix it myself eventually lol. fitsbach, SmashArtist, MMMm and 1 other person like this. Its very beautiful! Thanks a lot for sharing! So very nice! I hope there will be world and Indoor tiles in the future, too! Nice work, especially on those bushes, those are really well done and I might add them to my default tileset. Thankyou. These are amazing an beautifully fit alongside the default RTP tiles. Great job on them! Can't wait to see more! Oh, I didn't think about the world tiles. That might be an interesting project to tackle! MMMm and Mystic_Enigma like this.